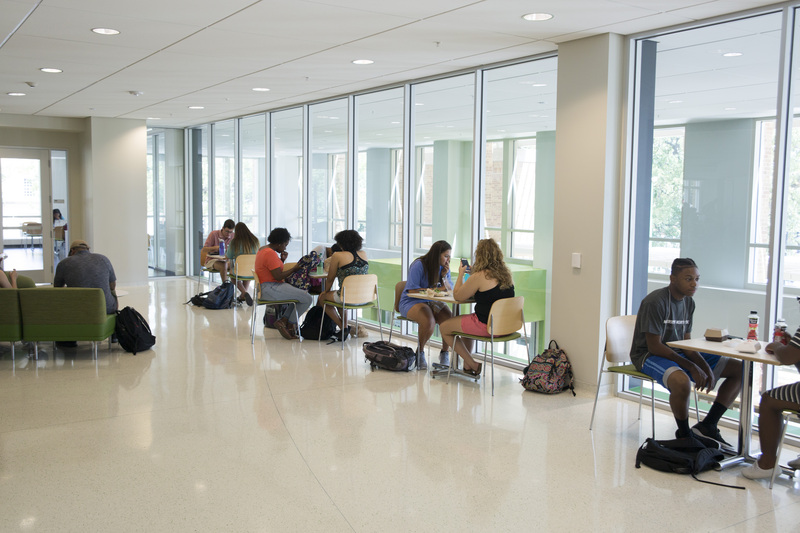 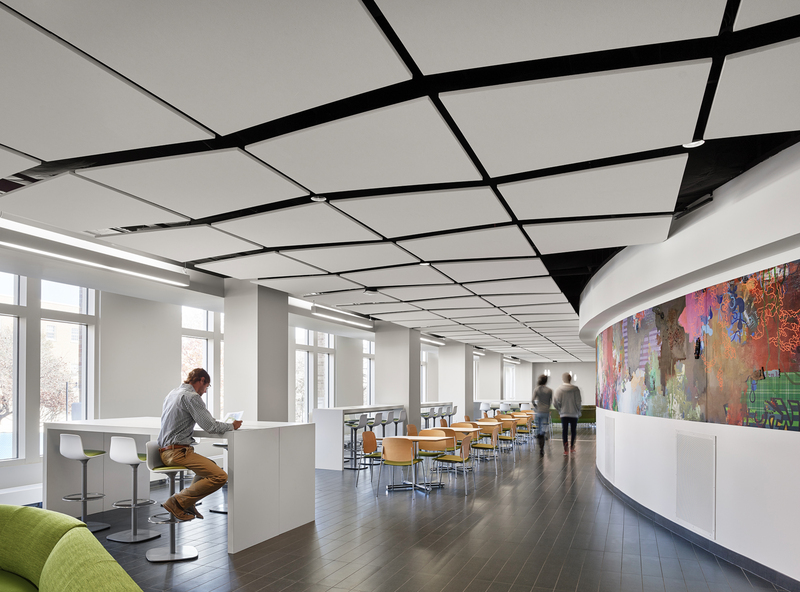 The Campus Chat has a variety of seating and the the ability to accommodate 750 students, and is the most popular location for students to eat in the Union. 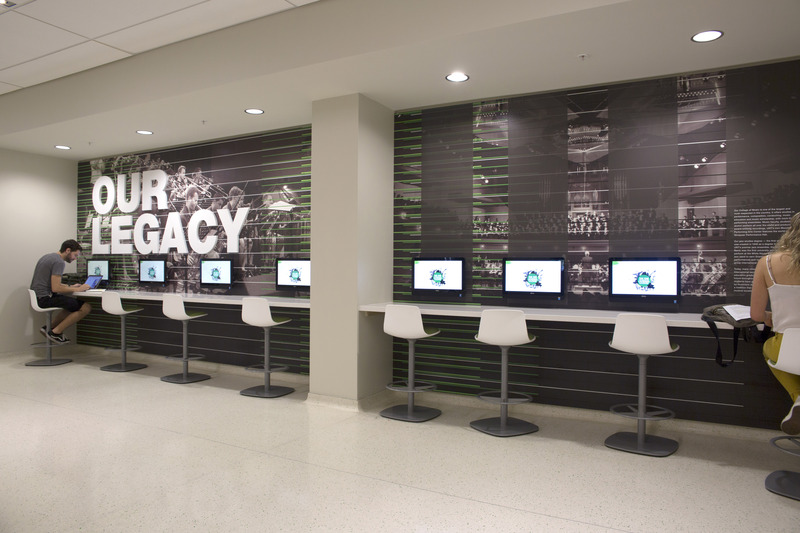 All of the Union dining options are close by, and there are also two microwaves for guest use. 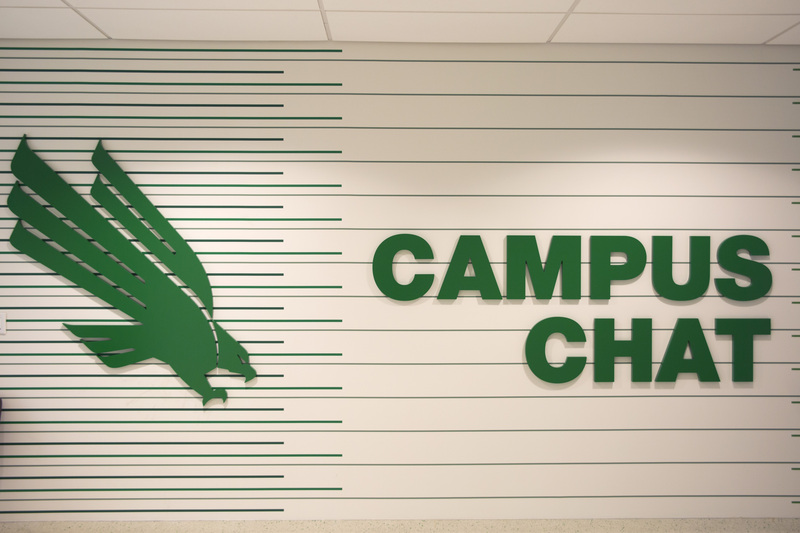 UNT alumna Murielle White created a 109-foot mural for the space, Ocean of Possibilities, which includes visuals that represent our campus and community. 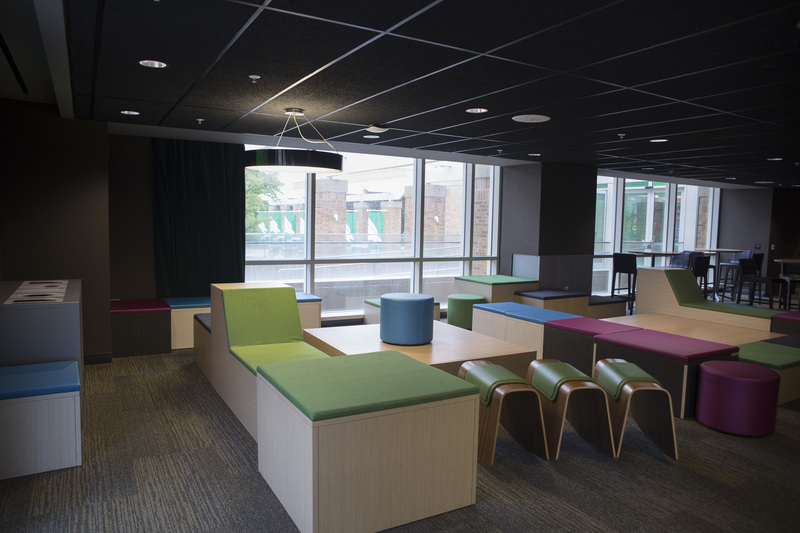 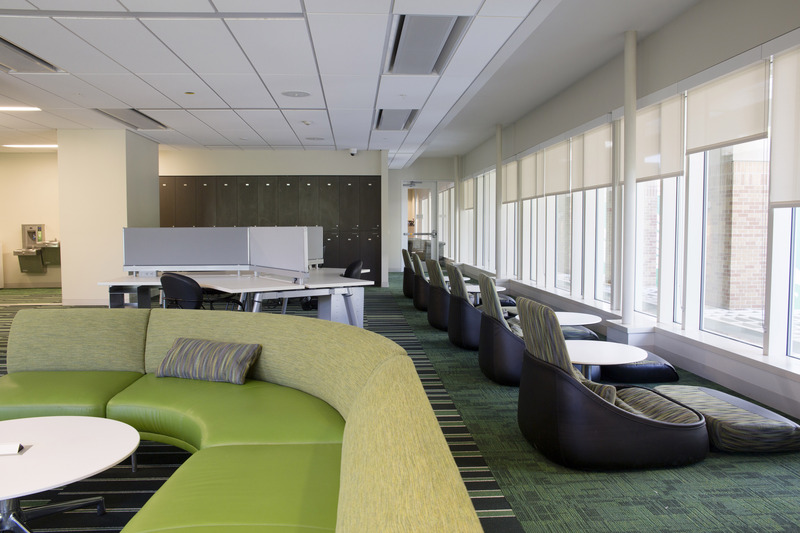 The Campus Chat also features two meetings rooms that are open during peak dining hours to accommodate heavy traffic, and can be reserved for events and lunch meetings. 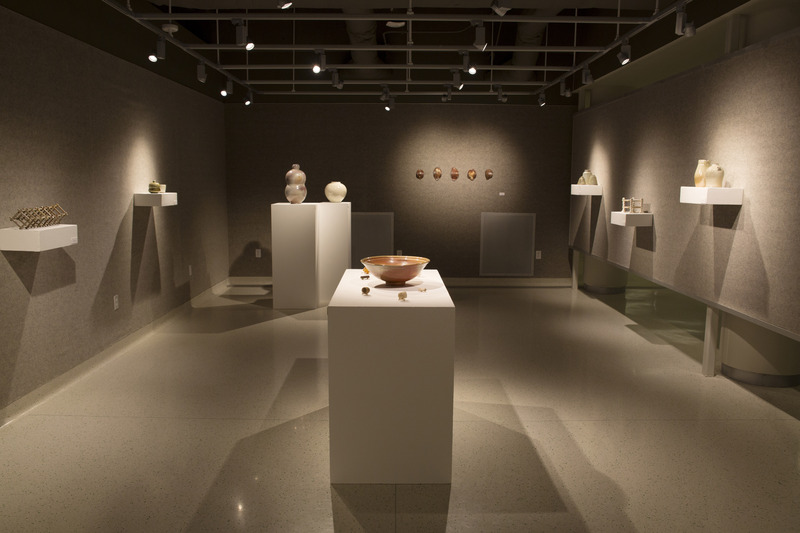 The Union Art Gallery is one of two spots on campus where undergraduate art students can display their work, and all students can view free art exhibitions and be exposed to excellent work. 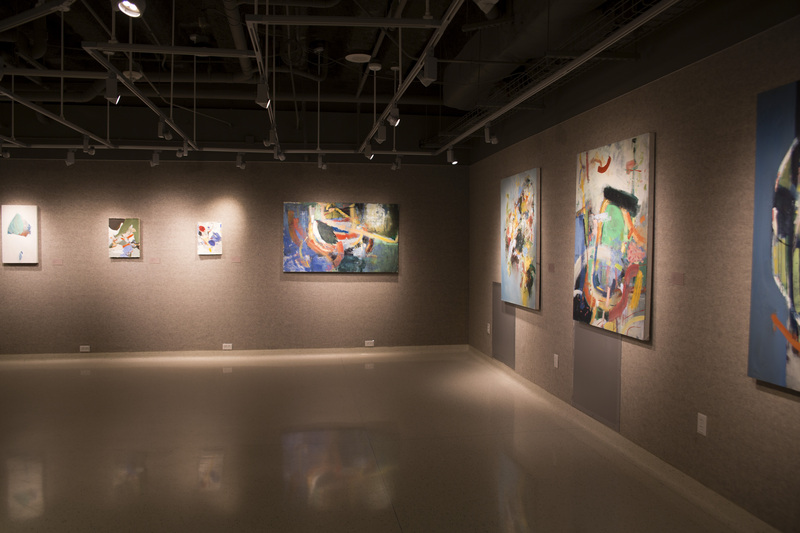 There are new exhibitions every two to three weeks, and the type of art varies across all media. 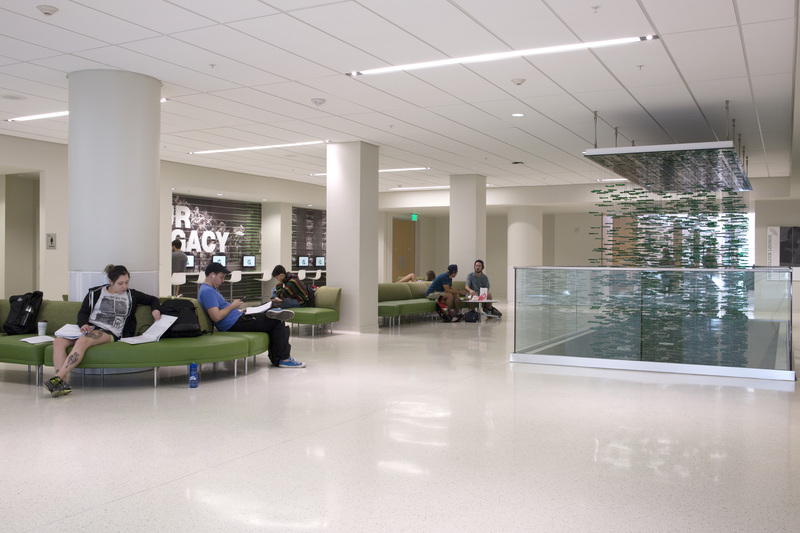 The Syndicate is one of the most popular spots in the Union. 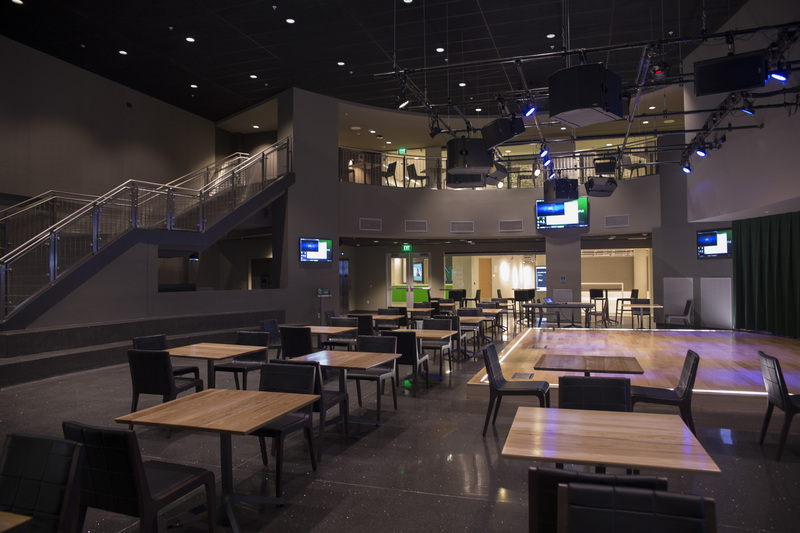 It's a two-floor hang out location with a sports lounge feel. 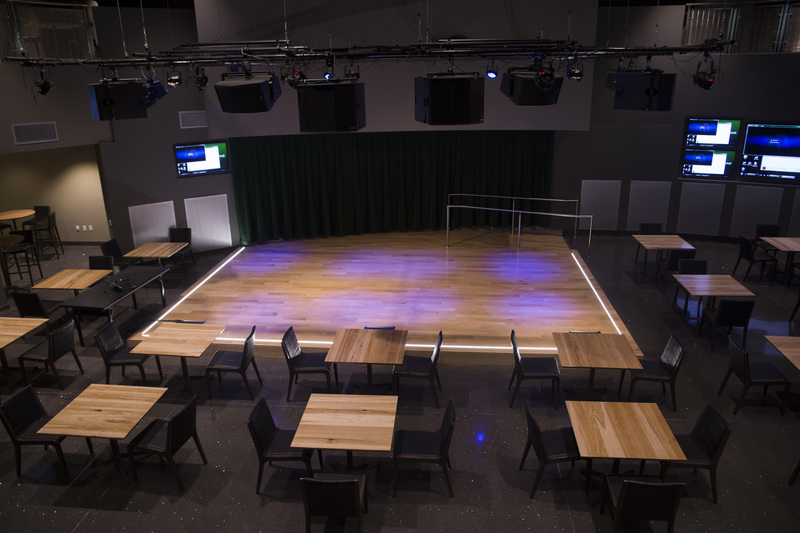 University Program Council often uses it for their events--look out for open mic nights, performances by bands and stand up comedians, watch parties for awards ceremonies, the Olympics, and the Super Bowl, and much more. 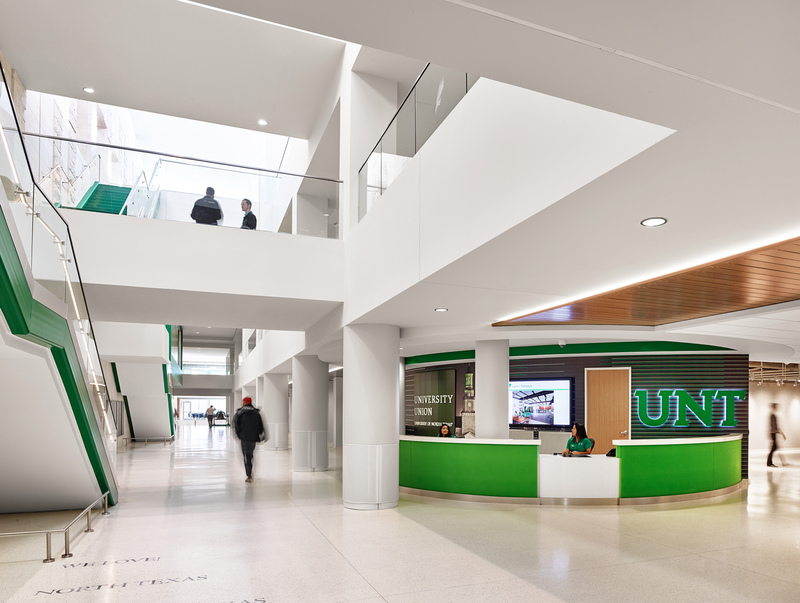 Students can request to change the channels on the TVs, and all televised UNT Athletics events are shown in the Syndicate. 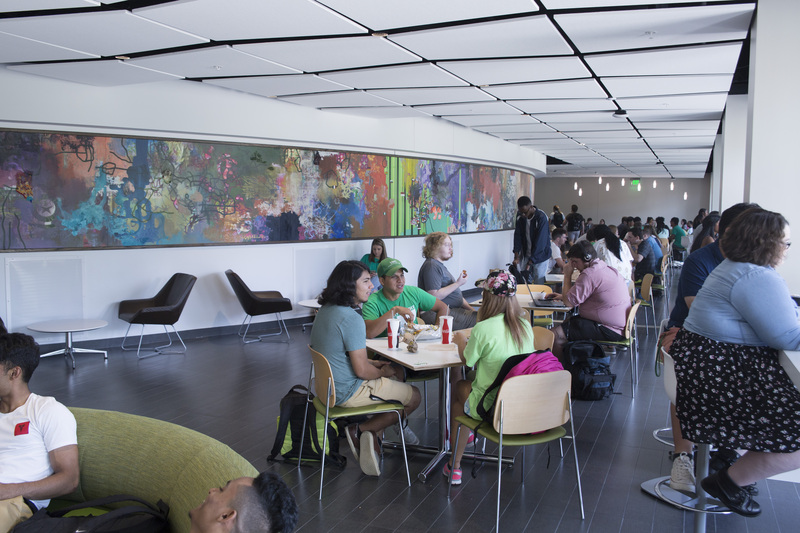 UNT Jazz bands--and the famous One O'Clock Lab Band--play on the Syndicate stage several times a week. 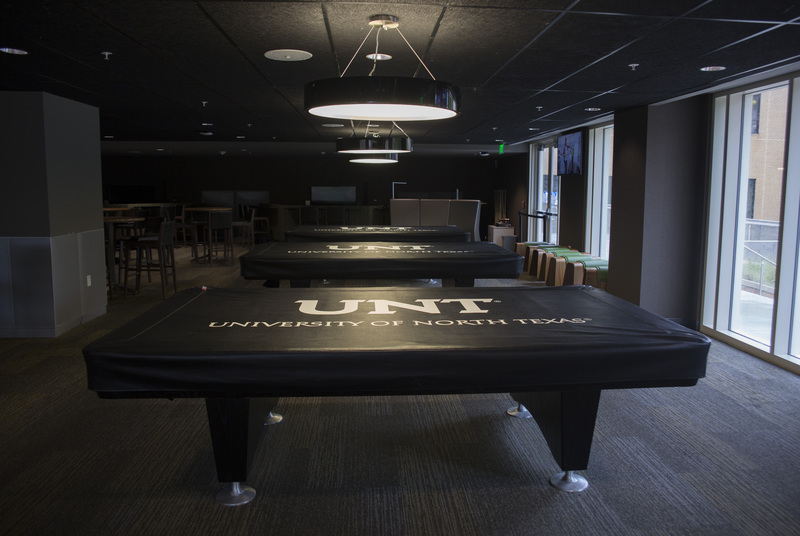 On the second level, there are pool tables and students can check out pool equipment for free with their student ID. 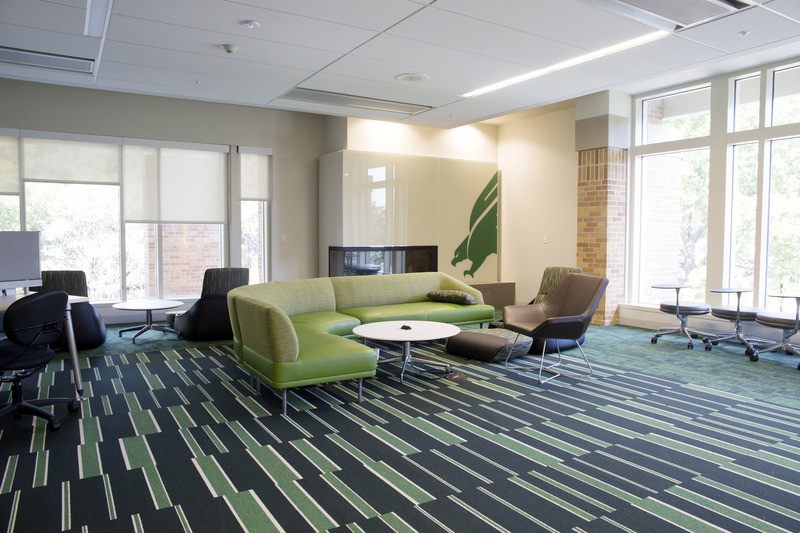 There are also multiple TV lounges, where students can connect their game console or laptop to the screen and play games or watch TV and movies. 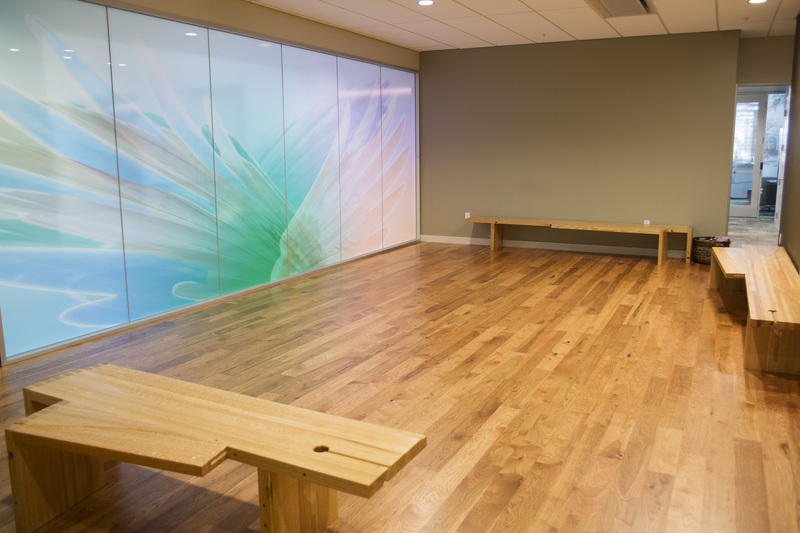 The Meditation Room is a tranquil space to reflect and de-stress, open to any students. 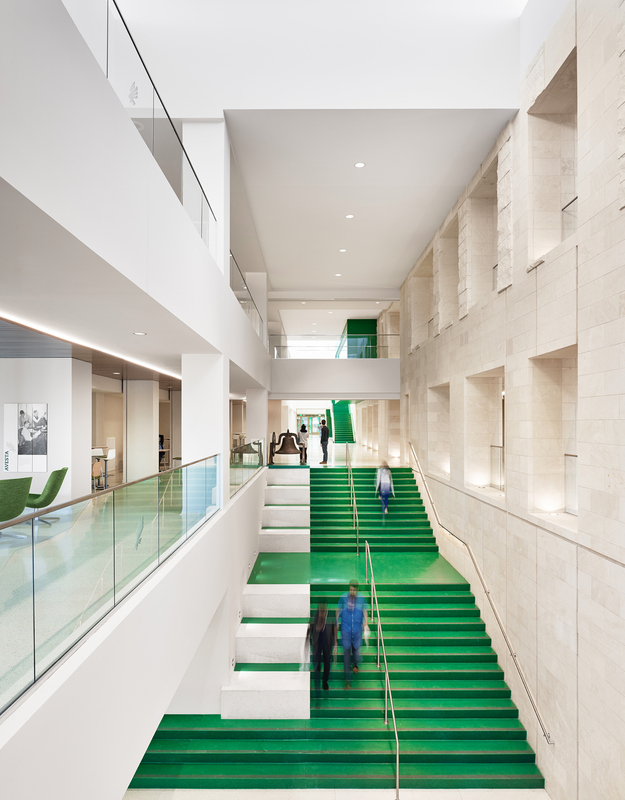 UNT's Office of Spiritual Life offers occasional programming in the space. 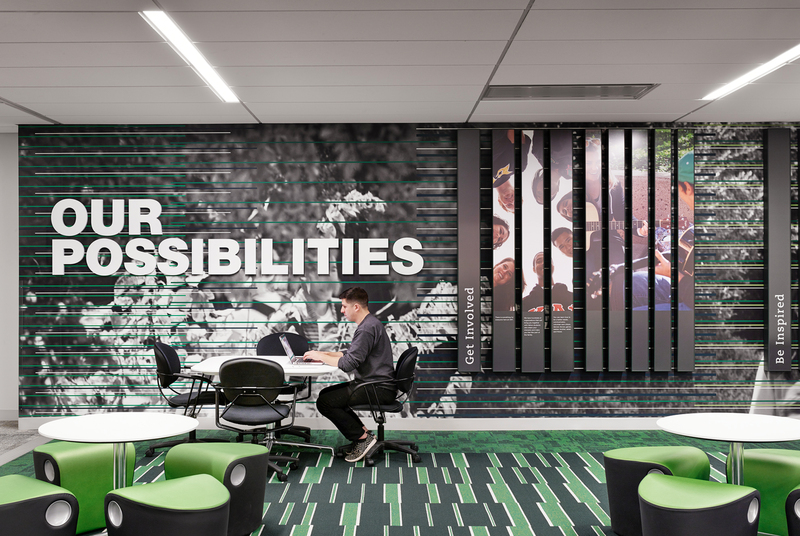 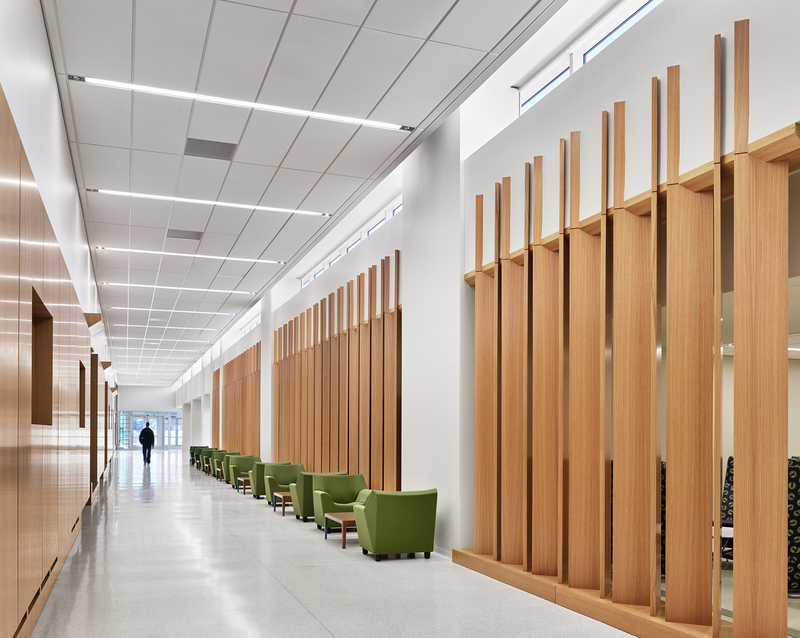 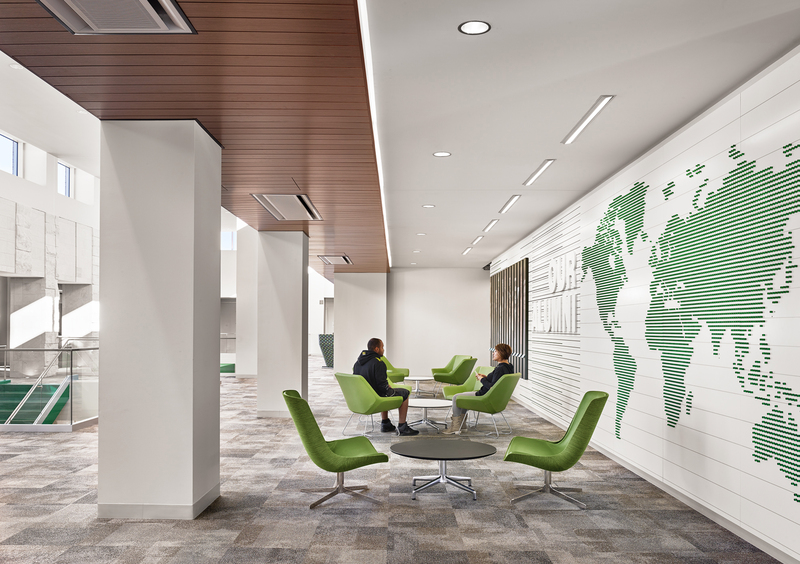 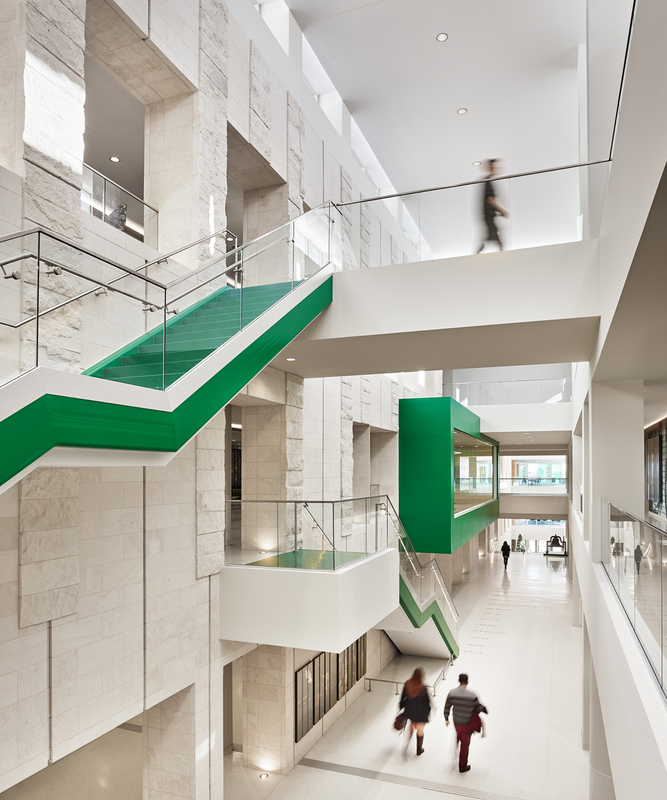 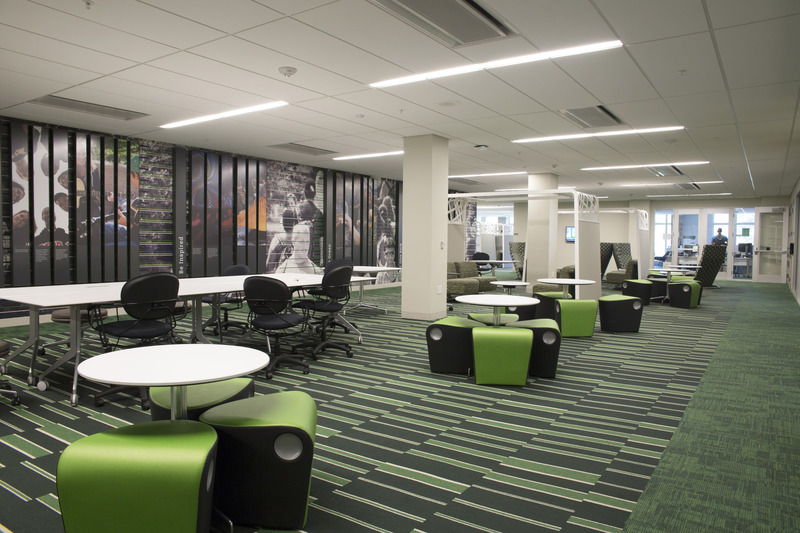 Named for the famed One O'Clock Lab Band, this open area on the third floor features a row of interactive touch screens that act as a digital juke box, with archives of UNT jazz music through the ages.